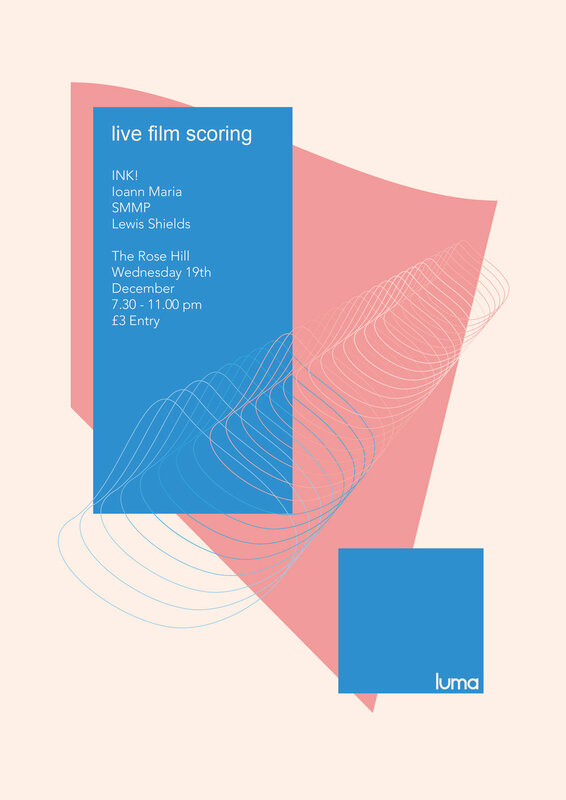 Join us at The Rose Hill for the launch of Luma – an evening of film and live music, where four artists take us into new visual and sonic realms: reimagining and recontextualising short films with their own live soundtracks. TIckets are limited, so book early to avoid disappointment! INK! are the duo of Laurie Nankivell and Arthur Leadbetter on cornet and cello respectively. Inspired by the obscurity of Gavin Bryars and Brian Eno, INK! take this spirit of discovery into 2018, melding orchestral loop music with off-kilter drum worlds through to the space of silence. Samuele Matteucci, aka SMMP, is an experimental artist and musician, incessantly hunting for that glitch that gives old toys a second life. Using his own circuit bent instruments, SMMP’s music offers an insight into the use of rehoused and repurposed capitalistic waste as musical instruments. pure data driven noise/petite drone with symbolic narrative, an experimental live act into the surreal dreamlands. Ioann Maria is a new media artist and filmmaker, creative coder and computer scientist. Her work is largely focused on audio-visual art, interactive physical systems, and hacktivism. Embedding field recordings into dream-like soundscapes, Lewis’ music toys with the juxtaposition of digital and acoustic sound-worlds, marrying the real with the surreal.